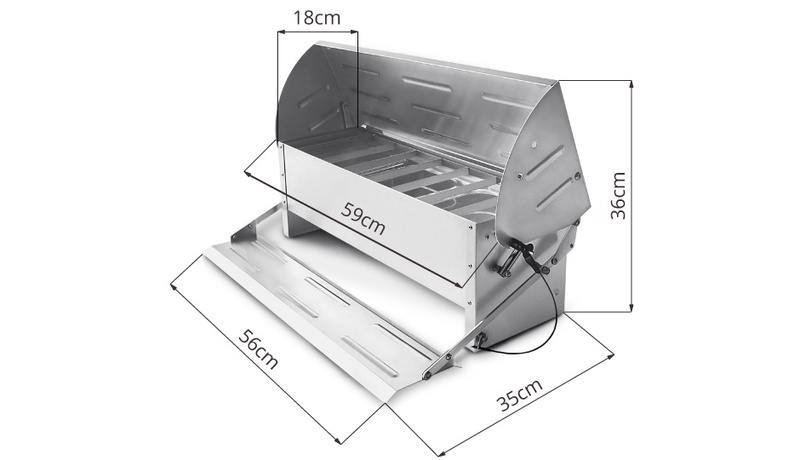 Keep your chooks’ feed safe and dry with the Treadle Feeder & Drinker. Reduces wastage by up to 75%! Two handy Storage Drums, one to store bedding and another to store chicken feed! Keep your gardens safe and your girls happy with our our backyard poultry fencing. An essential tool for any chicken keeper! Superfine Diatomaceous Earth has been extra-milled and is perfect for dusting chickens and other animals to prevent and treat mites and lice. Add some of our Lavender Booster to your coops nesting boxes to provide a bit of aromatherapy for your girls - they’ll love it! Use the chicken wormout gel to help get rid of worms from your hen's digestive system. This high quality Premium Lay Mash will be your flock’s primary source of nutrients. We only include the best chicken feed for better egg quantity AND quality! Cracked Corn is a delicious treat for your chickens that helps make their yolks bright and tasty! Shell Grit provides a vital source of calcium to help keep your chickens and their eggs healthy & strong.